Is Jamie Elliott worth the risk? WHEN it comes to scoring points in AFL Fantasy, there is no better team in the game than Collingwood. While some teams might have one or two players on their list who average over 100 points per game, Collingwood has five. Tom Phillips (MID, $693,000) nearly joined that elite group last year with his average of 95 as he stepped up from the 83 he averaged in 2017. Defender Jack Crisp (DEF, $635,000) was as solid as ever averaging 88. It’s been four years since he has missed a game and he is one of the most durable players in defence. Young gun Jaidyn Stephenson (FWD, $477,000) proved himself as a worthy cash cow, moving up $175K in price playing all 22 games. The question is, how many Pies are too many? Last year, Taylor Adams (MID, $690,000) dropped his Fantasy average by 20 points to 95. A failed experiment across half-back early in the year saw the premium midfielder’s numbers plummet. A return to the midfield saw Adams’ scores increase as he averaged 113 in the final six games. He continued this hot form during the AFL finals series with scores of 118, 110, 120 and 122. He’s under-priced and could be a top-eight midfielder if he can get back to the 115 he averaged just two years ago. As we all know, the term 'Pig' is the highest honour a player can receive in Fantasy. Tom Mitchell, Tom Rockliff and Dane Swan all hold the title after phenomenal seasons that saw them average 130. Mitchell was the best of the best last year and feasted on points, scoring 140+ in over half of his games, so can Brodie Grundy (RUC, $871,000) join him in the sty? Last year, Grundy averaged 120 and hit the heights of 150 and 151. He improved his average by 14 points and cemented himself on the watchlist as a potential Pig of the future. 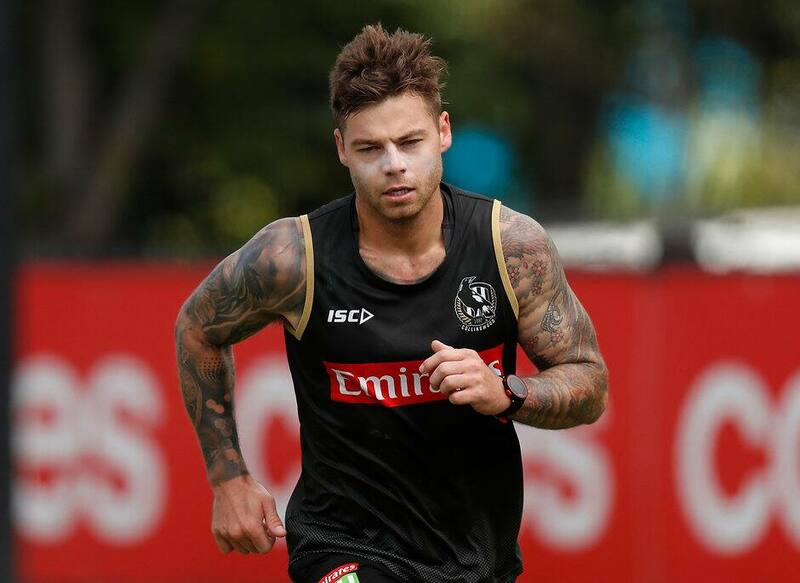 It’s hard to look past his cheap price tag, so keep an eye on Jamie Elliott (FWD, $385,000) this pre-season. After missing 2018, Elliott receives a 30 per cent discount and is now only priced at an average of just 53. In 2017, Elliott averaged 76 across 17 games and if he features at all during the JLT Community Series, he might have coaches scrambling to squeeze him in. He’s one to watch. The great Dayne Beams (MID, $768,000) has returned. After four years with Brisbane, Beams finds himself back in the black and white, a team he averaged a career-high 116 with in 2012. In his last two years with the Lions he averaged 105 and 106 and should be even better now he is back with the highest scoring Fantasy team of 2018. Isaac Quaynor (DEF, $246,000) is turning heads this pre-season with his dash off half-back and his ability to win one-on-one battles. Although he only averaged 58 during the NAB AFL Under-18 Championships, Quaynor finds himself at a Fantasy-friendly club and will be pushing for selection during the early rounds. It’s been five years since Steele Sidebottom (MID, $750,000) has averaged less than 102. His ability to get the job done is only surpassed by his captain Scott Pendlebury (MID, $738,000), who has averaged 100+ over the past nine seasons. Both are reliable options and as the years go on, they often get overlooked. But if you are looking for a player to average 100+ without missing any games … then you’ve found your men. Despite having a purple patch last year that saw Jordan De Goey (FWD, $594,000) average 95 over six weeks, expect him to be playing more forward this year with very limited midfield minutes. The arrival of Beams certainly doesn’t help his case, and as a 'stay at home forward' his Fantasy numbers will take a dramatic hit.